Some are exciting, some are sad, but all are important. Each region of the United States has something amazing to contribute to the foodie world, and each contribution is different. The North and the South tend to be viewed as polar opposites; if you want fast-paced living head north, if you want to slow things down head south. Warm weather versus cold weather, and, well, you get the idea. When I moved to Virginia from the greater Philadelphia area, I felt familiarity in seeing frequent Panera Breads and Chipotles. I was, however, perplexed by some of the different things the same chains offer (as well as chains I had never heard of before). Chipotle sells beer here, as do 7-11 and Target. They didn’t do that up North. After the craziness of moving subsided, I realized there were many food things I was now living without, having moved hundreds of miles from home, in addition to food things that were welcomed new additions to my palette. In New Jersey, you get home fries and toast with your breakfast. In Virginia, they ask if you want grits or hash browns and a biscuit. I have never had grits, but shredded hash browns are delicious. 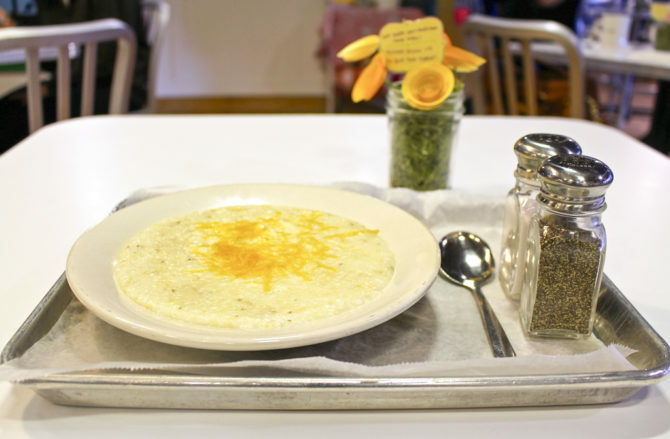 Grits bring implications of the South (shrimp and grits, anyone? ), but they actually originated in Native American cuisine. Made from different types of ground corn, grits are similar to traditional porridges, but their preparation is distinctly Native American. Yes, there is fried chicken almost anywhere, but have you ever tried it in the South? The breading is perfectly crispy, the chicken is incredibly juicy, and the smell is intoxicating. Like grits, fried chicken does not have its roots in the American South. Scottish immigrants brought the tradition from Europe, where it existed for hundreds of years, and slaves became skilled in preparing the dish. It thus became a southern staple passed down from generation to generation. This stuff is everywhere. Tea accompanied the British to the colonies in the seventeenth and eighteenth century, and the first domestic tea was grown in South Carolina. 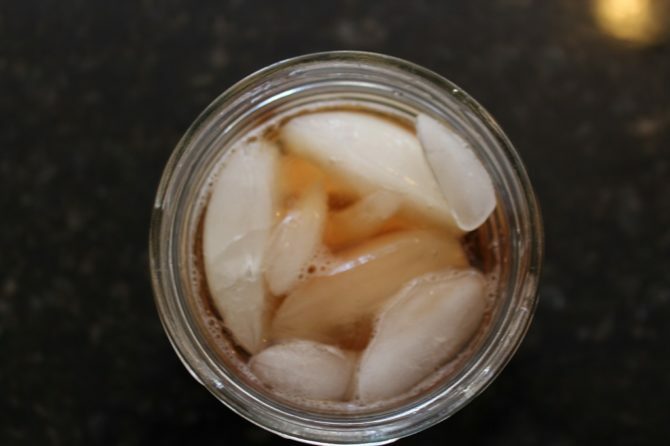 Iced tea came into popularity in the early nineteenth century, but the first recipe for sweet iced tea was published in 1879 in Virginia. Chances are, if you think you’re ordering iced tea in the South, you are going to get this super sweet version. Alcoholic differences between regions are definitely important to note. I’ve searched for muscadine wine since I started listening to country music, but soon learned it is only sold south of the Mason-Dixon Line. Muscadine grapes date back 400 years to Roanoke Island off the Carolinas. The wine is super sweet, coinciding with the South’s taste for sweet tea. Moonshine has Irish roots and was important in Appalachian regions in the eighteenth and nineteenth centuries for communities who distilled whiskey illegally. The word “moonshine” simply implies illegal production, but it is essentially whiskey that has not been aged. 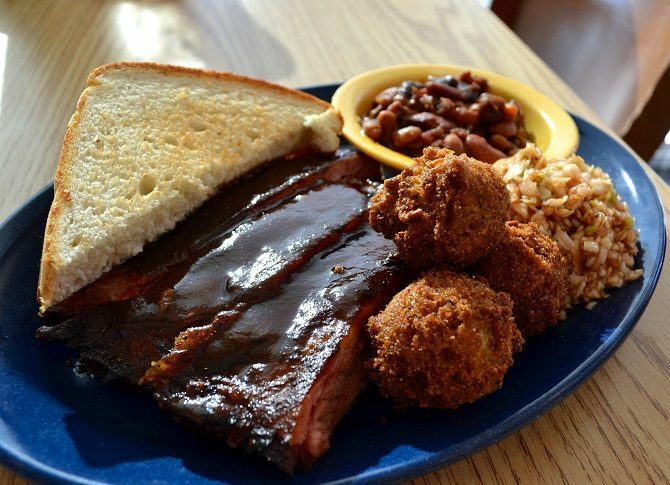 There are chain restaurants like Texas Roadhouse and Lone Star in the North, but I learned there’s nothing like authentic, hometown barbecue in the South. I recommend going to Broadway in Nashville, bar hopping among the countless bars there, and then going to Jack’s Bar-B-Que for delicious food off paper plates with paper towels as napkins because it will be one of the best meals of your life. Barbecue became a staple in the South because pigs were easy to maintain, and Southerners ate five times more pork than beef compared to their northern counterparts. These exist everywhere, but I have never seen such a high concentration of them as I have since I moved to the South. 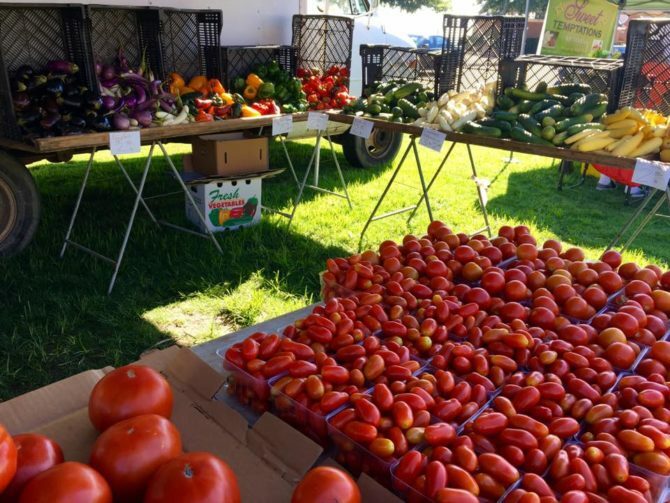 There is a market every weekend in almost every town (at least surrounding me), and it has become way too difficult to decide which to go to on Saturday mornings in search of the freshest local produce and baked goods. We’ve all gone to dinner and a movie on a date at some point. Usually, it’s dinner followed by a movie. 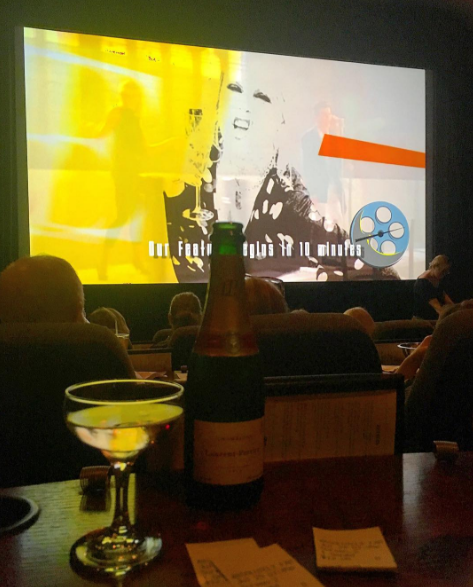 In Virginia, you can go somewhere like Cinema Café and have dinner while simultaneously watching a movie in a comfy recliner. Each chair has a tray table, and each theater has a full bar in it. The waiters come right up to your chair while ducking strategically so as to not block anyone else’s view and bring your food and beverages. Other options are Movie Tavern and Ciné Bistro. Living around Philadelphia, New Jersey, and New York, I never had to worry about where to find a good bagel—there are bagel shops everywhere. But I have yet to see one shop specifically devoted to bagels here. I’m sure they exist, but are they the local mom and pop kind you can find in Jersey? It will be hard to find a bagel that beats ones I’ve had up North. They exist in the South, but they’re not called cheesesteaks. They’re called Phillies, actually, and if you order a cheesesteak, the waiter may look at you confusedly. These versions tend to be fancier than a traditional Philly cheesesteak “wit” onions and peppers and cheese whiz. I’ll have to get my fill of cheesesteaks next time I go home. This one is devastating. I’ve seen a few Wawas in the South, namely Virginia, but they are few and far in between compared to their density in Jersey and Philly. I got used to having a Wawa within five minutes everywhere I went. Seeing a Wawa somewhere other than the Northeast is like seeing an oasis in a desert. For me, at least. While there are plenty of alimentary offerings you can enjoy in the South, there are some foods from the Northeast (specifically the Philadelphia area) that simply cannot be replaced. Cheesesteaks that are called cheesesteaks, for example.